Maxi Cosi Jade Carrycot is the first carrycot to fully comply with the highest safety standard - R129. Jade allows your baby to travel in your car with the safety of a car seat while still having the comfort of a carrycot. Why should I choose the Maxi Cosi Jade Carrycot? 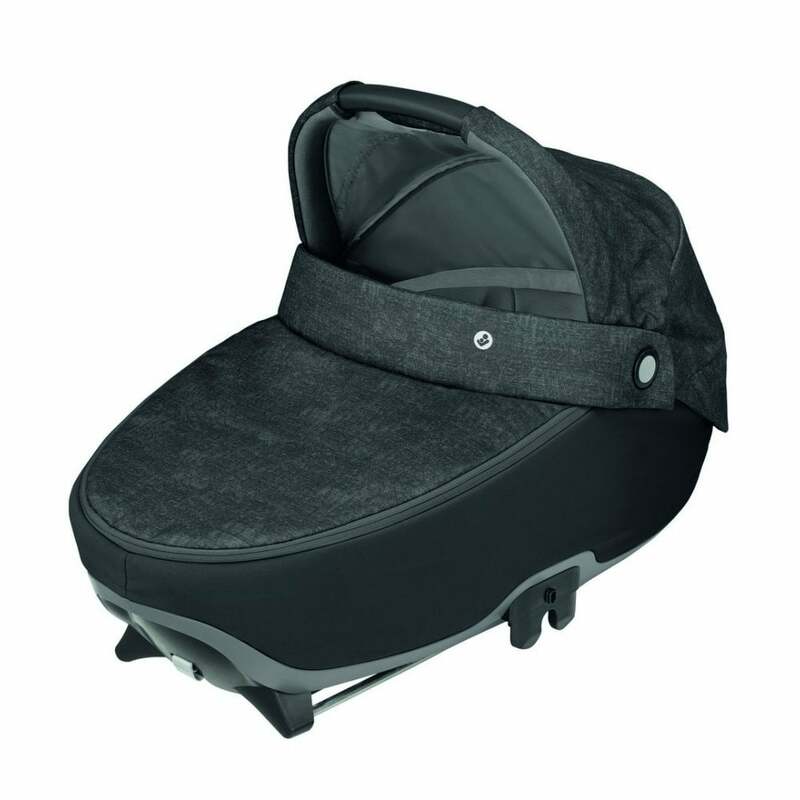 Jade Carrycot provides an ideal lie flat position for your baby to travel in while in the car. Quickly and easily install it on to your Maxi Cosi 3wayFix i-Size Base (sold separately) and you are ready to go. Maxi Cosi Jade Carrycot brings the safety of your car seat with the comfort of your carrycot. It allows your baby to stay sleeping and undisturbed even when you have to get in the car. Compatible with most Maxi Cosi Pushchairs including the Maxi Cosi Lila Pushchair, Maxi Cosi Nova 4 Wheel Pushchair, the Maxi Cosi Adorra Pushchair and the Maxi Cosi Stella Pushchair. Light and sound indicators help you to ensure your Jade Carrycot is correctly and safely installed and is suitable for babies 40cm up to 70cm which is approximately from birth to 6 months. What are the specifications of the Maxi Cosi Jade Carrycot? What is the Maxi Cosi Jade Carrycot compatible with?